I am from the rural town of Salisbury, Missouri. I went to school for art education and then returned for a BFA in ceramics, studying with David East and Bede Clarke at the University of Missouri Columbia. My husband and I went on to serve in the U.S. Peace Corps in Mongolia for 2 years and traveled quite a bit around Asia. Before returning to the U.S., I participated in the International Workshop for the Ceramic Arts of Tokoname (IWCAT) Japan during the summer of 2007. Living abroad, traveling, and learning about ceramics in Japan was very influential on my life. We then moved to Eugene, Oregon, where I worked with Hiroshi Ogawa and Tom Rohr, with the aim of improving my portfolio in order to apply to graduate school. Since receiving my MFA from Southern Illinois University – Edwardsville in 2012, I have worked part-time as a studio artist and part-time in various teaching positions and in my husband’s auction business. We moved to Kansas City two years ago and had our daughter in March of last year (2015). As an MFA student, I was a few years older than most since I had taken several years in between my undergrad and graduate degrees. When we had visiting artists, I remember asking questions and listening intently when they talked about balancing their careers as artists and having a family. I am inspired by the many women in my life who are not artists, but who manage to have careers while being wonderful mothers. 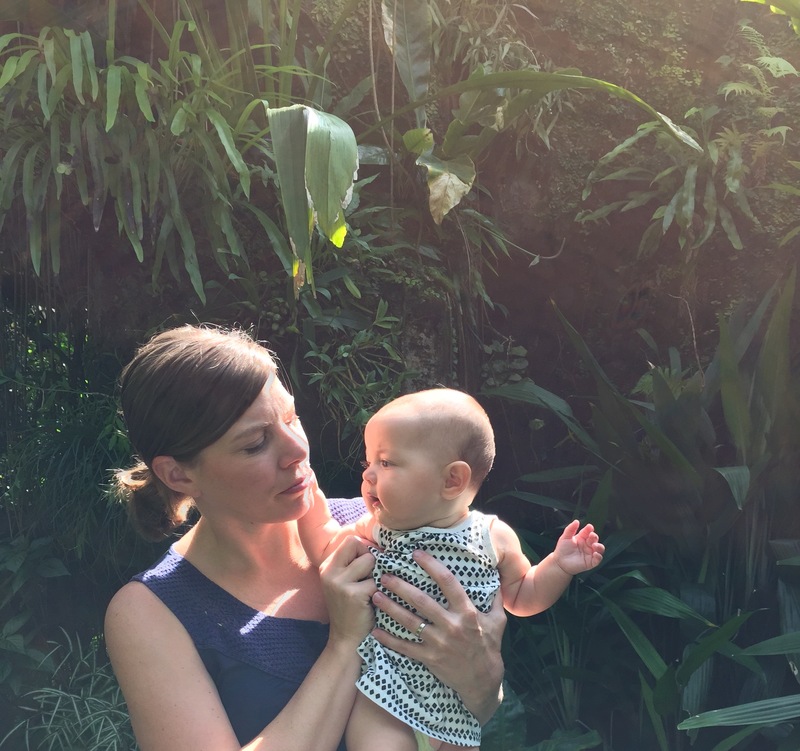 Overall, there have been many amazing, talented, and outrageously successful women artists in the world that managed to also succeed at motherhood. Reading through this https://hellomomtra.wordpress.com/the-momtra-list/ short list reminds me that it can be done. I am constantly battling back and forth between spending time with my little girl and getting work done. I took a few months off after Ona’s birth and just kept up on computer work here and there. I had a show/sale scheduled two and a half months after she was born and had tried my best to prepare for that during my pregnancy. I went back to work part time from then on; though, on weeks I’m preparing for a show or deadline, I work full time. One of the reasons we chose to move to Kansas City is that both my husband and I have family in the area. I have been extremely lucky to have my sister and niece watch Ona a few days a week. I am also working out of my garage and basement, making it easier to nurse her and help when needed. My husband has also been very helpful, taking care of Ona in the evenings so I can get work done in the studio or helping with firing the kiln in the middle of the night. 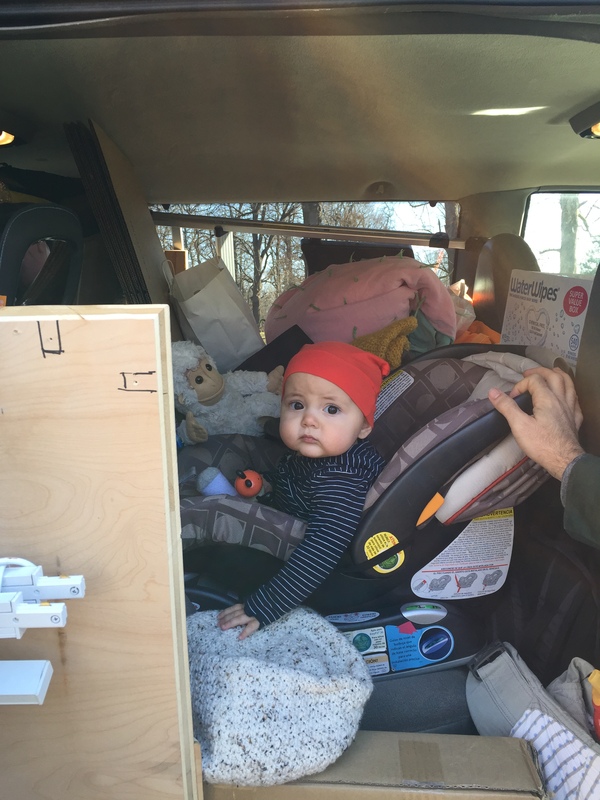 The three of us took a 3 day road trip to Philadelphia so I could participate in the Philadelphia Museum of Art Craft Show when Ona was 8 months old. He managed to help me unload and set up while we took turns caring for her. It could have been a disaster of a trip but it actually went surprisingly well. Overall, I try to schedule my work and family time out in my planner and I can’t procrastinate on work like I used to. I also bring my daughter with me to openings, workshops, or meetings whenever I need to or can. Can you talk a bit about your love for geology and ceramic materials? What materials are you currently experimenting with? 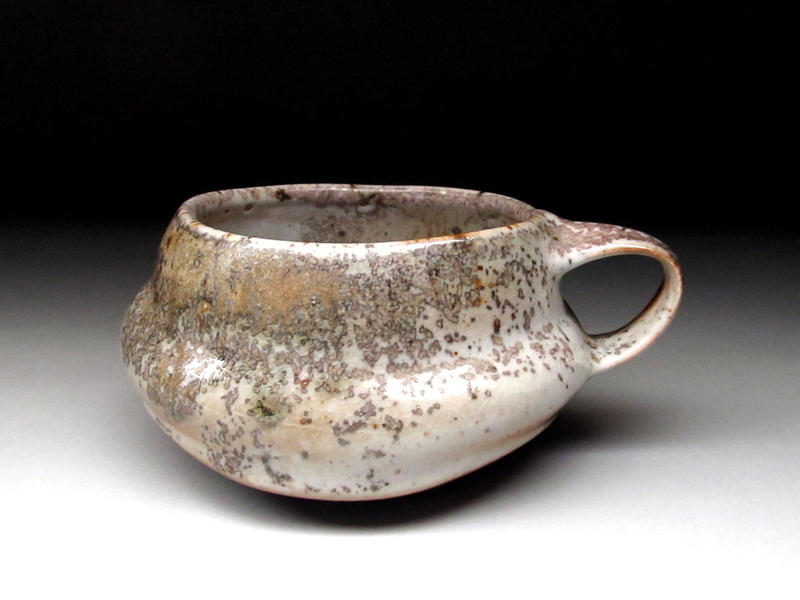 Why do you think raw or local materials are seeing a resurgence in popularity in ceramics lately? 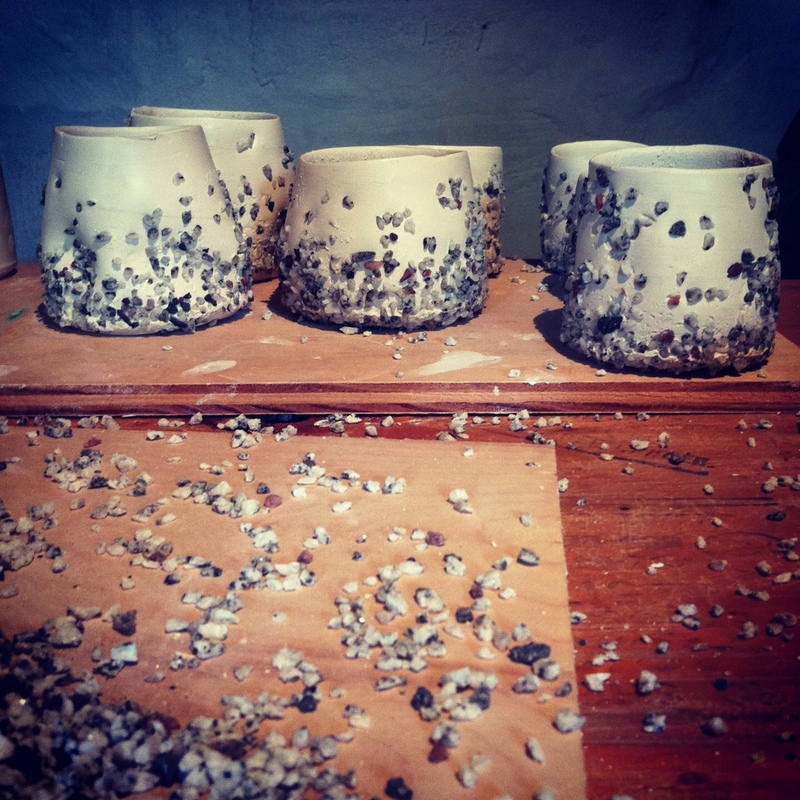 I love the physicality of working with clay, stone, metals and raw materials. The simplest most basic natural forms have always resonated with me. The landscapes and geological features of an area seem to affect the psyche of the people who live nearby. Even though we were only in Oregon and Mongolia for a couple of years each, I have been deeply affected by the sheared rocky black cliffs along the Oregon coast line and the mountain range viewed in the distance on the vast Mongolian steppe. I enjoy experimenting with raw earth materials, imitating many of the processes of growth and degradation found in nature. 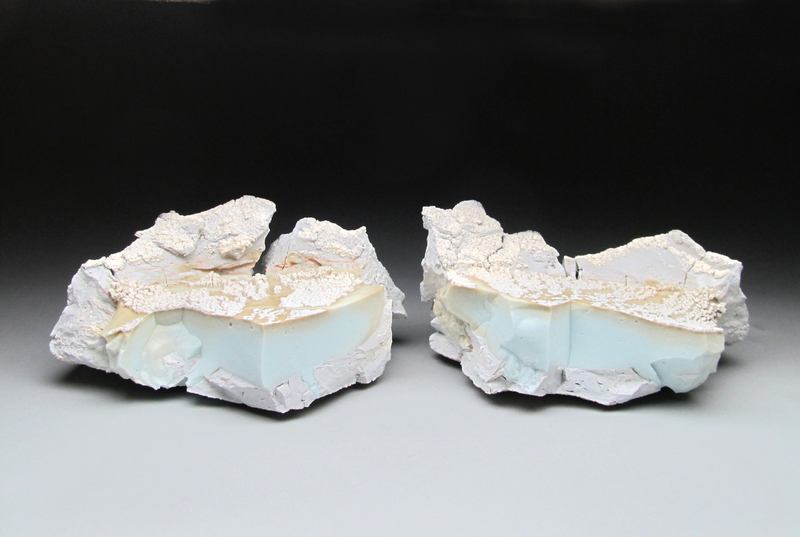 Building up surfaces in layers of material and moisture, extreme drying to form crags and fissures, many of the traditional glaze and clay “faults,” I find exciting to encourage these phenomena in my work. 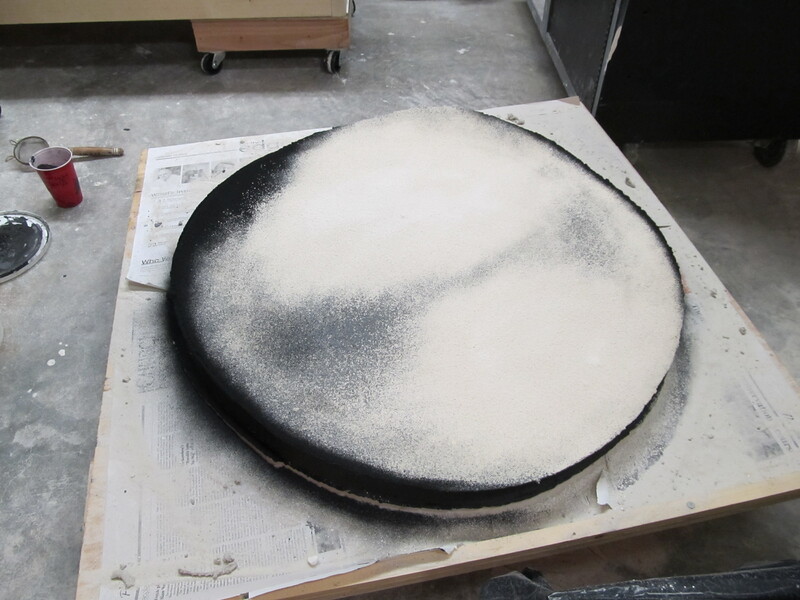 I am currently working with dusted dry clay bodies on top of glazed surfaces and creating forms mainly out of glaze. I build a hollow form out of porcelain and pour it full of glaze. After the firing, I treat the piece much like one would carve stone, breaking and shaping the forms into sculptural fragments. Raw materials speak to simplicity, a connection to nature and the physicality of our world. The materials we use are rich with content. I don’t feel that my work would evoke the same emotion if I were to use any other material. There is definitely a current trend toward simple, authentic and quality materials in many genres and large segments of the population seem to be returning to the foods that their grandparents ate, solid wood furnishings, and work made by hand. I think there is an honesty and directness in the materials being used, as well as a connection to fellow human beings and community that people are craving. Local materials especially have a way of strengthening the story of place and identity. It adds depth and relationship to objects and helps me to picture the potter holding a clump of clay dug straight out of the ground, pressing and pushing it into the bowl that I finally hold in my hand. The image is so strong that I can almost smell and taste the clay when using the finished bowl. I’m really enjoying the local clay and raw materials trend. I think those that are using it in skilled ways to create content within their work will carry it on beyond a trend and make lasting and meaningful works of art. Currently what is your favorite metal, oxide and raw material to incorporate in your work? Are there any materials that frustrate you? Crushed granite and a bronze glaze are my current favorites. I have also experimented a great deal with dusting different dry clay bodies on top of glazes. Many materials frustrate me, but that’s usually because I’m trying to replicate a formula that wasn’t measured or calculated the first time I tried it, and so I have to make several pieces until I work out all of the variables to find the right original combination. I usually get into the studio two 6-7 hour days a week and I teach at a community studio on Saturday mornings. The other days of the week, I do computer work such as editing photos or filling out applications while Ona plays around me. Even with a babysitter to watch her while I’m in the studio, my work time tends to be broken up into 2-3 hour intervals. With my studio being in the garage and basement, it’s easy to pop in to feed her or help find a lost pacifier, or, I get distracted and go see what cute thing I feel like I’m missing out on. I used to get really stressed out about getting enough work done for a show or having everything exactly as I wanted it, but now I just try to relax and say “I’ll have what I have.” I try to do fewer things, keep it simple, while trying to keep up the quality. I have noticed that I am more concerned with making enough money to cover childcare costs, etc., and that any show/event/commitment I make is important enough to take the time away from my family. 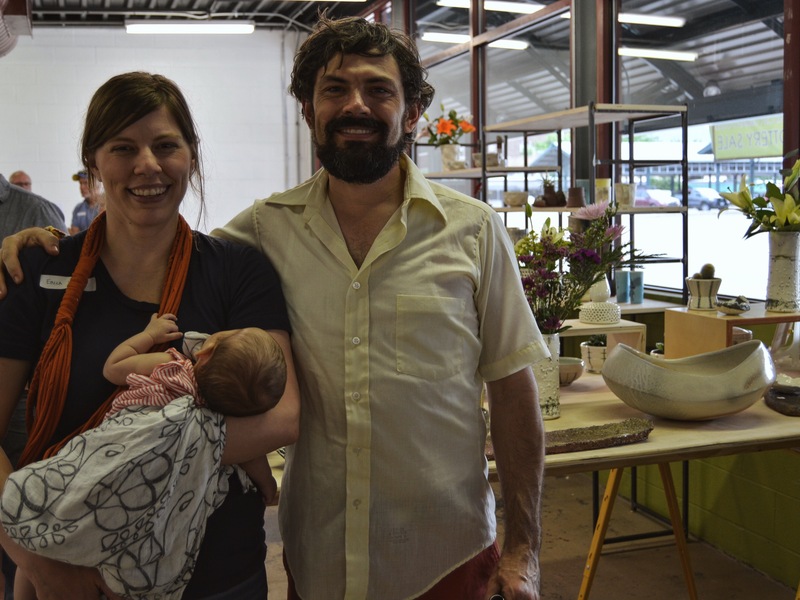 Tell us about the Kansas City Urban Potters? When/How did it all start? What are future goals for your group? What has it taught you? Chandra DeBuse, Meredith Host, Alex Watson, Rain Harris, Paul Donnelly, Jana Evans, and I formed the KC Urban Potters to help promote and educate our community about the wealth of local potters. It’s a fun group of people, and I truly feel that each of us is doing this to help grow a following within the community and to support each other’s careers. Our next “big news” event is opening a small gallery with retail space in the Westport area of Kansas City. Three of us will have adjoining studios in the back and hope to host many clay related events there. We hope that by having the studios and the gallery in one space, it will expose people to how the work is made and the story behind it. 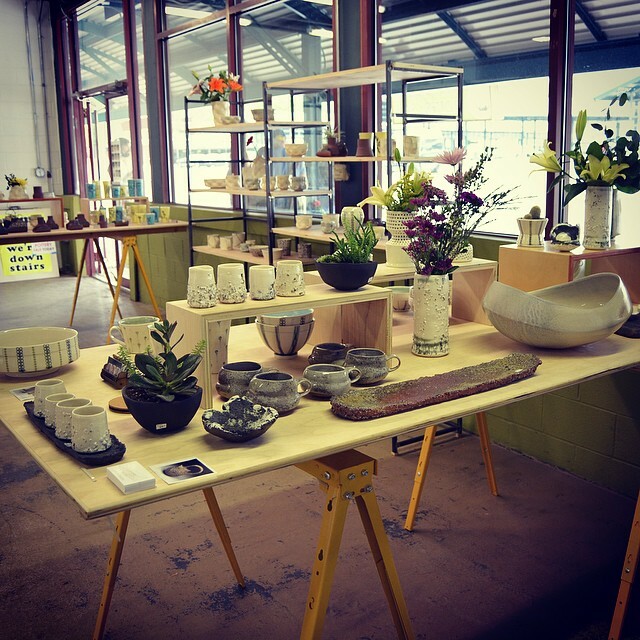 We also have plans to include more regional potters in our gallery and events. This experience has taught me how important it is to have good people in your life, and to have the unique strengths of each individual working together as a whole we’re able to accomplish much more than any one of us could on our own. None of them have children (thought they all have dog-children) but they have all been very supportive of me having a child. We were just starting KCUP when I got pregnant and I was a bit worried that they would see me as dead weight. 🙂 Just the opposite, they help with holding Ona at events while I’m unboxing pots, and they are pretty easygoing about me bringing her to meetings and other events (which, in light of her entering her loud squealing phase, is quite a testament to their respective tolerance levels!). Tell us what are you currently working on in the studio or in your sketchbook? My husband is a 3rd generation auctioneer and I have become quite interested in antiques over the years. I enjoy running but haven’t gotten started up again since having a baby. Coincidentally, just tonight I’m starting a group fiddle class, something that will take me out of my knowledge and comfort zones. Ayumi Horie wrote on instagram a while back about taking a dancing class that reminded her of that awkward, beginning learner stage, like it felt when you were first starting to throw on the wheel. I think it will be good for me to get out of the easy and somewhat consistent path that I have been on for the last few years. Also, I just need to get out of the house and meet some new people! This was good for me to read when I was on the fence about having a child and is interesting for me to re-read now. Also, thank you for doing this project! I think many women and men working in clay need to see and hear how to manage both having a family and a career as an artist. The more people that are discussing it, the better everyone will understand that you can be both fully committed as an artist and as a parent, and the better we (and the ceramics community at large) will get at helping each other manage the two.